Frank Piscani has been competing in BJAAC for four years. Pickleball is Piscani’s choice of competition. 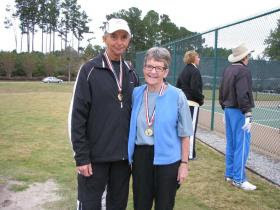 He has won gold in his age division every year he has participated in BJAAC and hopes to continue winning. “We will see some tough competition in the age group again this year,” Piscani said.